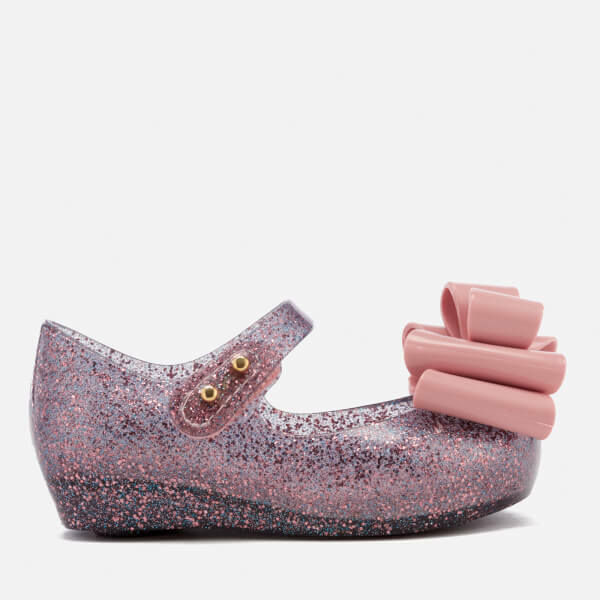 Toddlers’ glitter ballet flats from Mini Melissa. 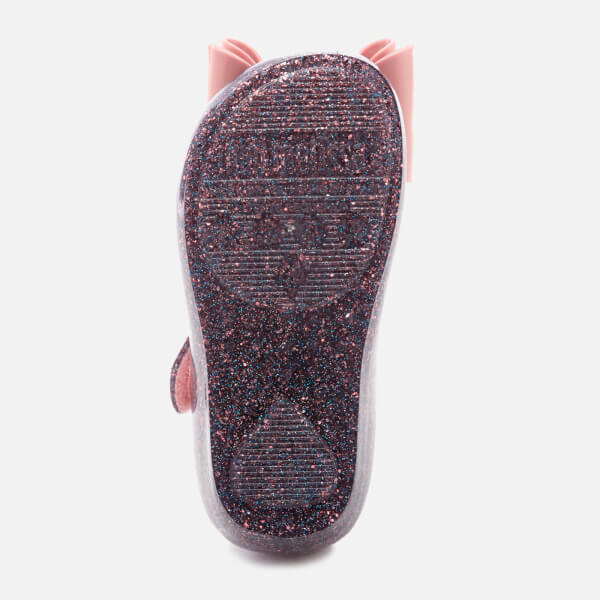 Crafted from ultra-soft Melflex plastic, the ‘Ultragirl’ shoes comprise a rounded toe with subtle peep toe detailing. 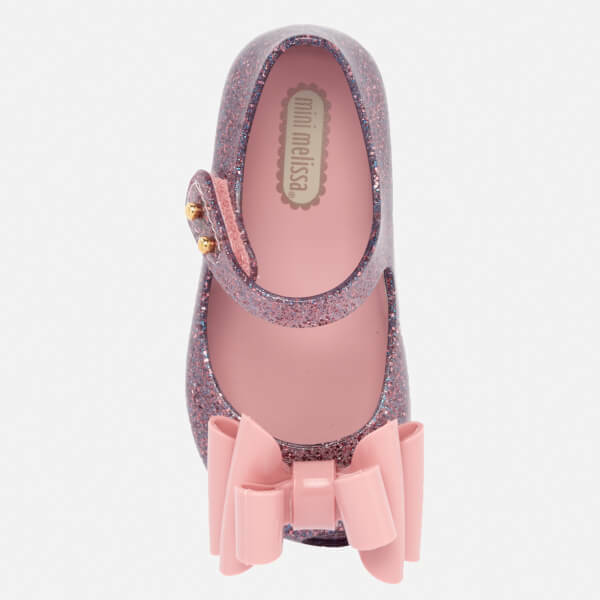 The shoes are easily fastened via a Velcro secured ankle strap with gold tone studs to the closure. 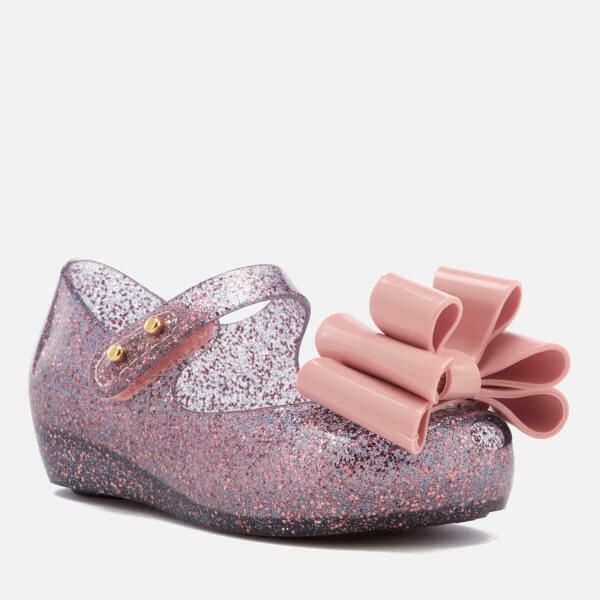 Placed upon a flexible, textured sole with a padded footbed for added comfort, the flat shoes are complete with triple layered bow adorned to the front in a glossy pink hue.